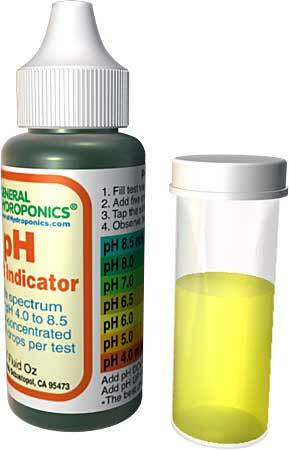 This hydroponic nutrients FAQ contains the most frequent questions I get about hydroponic nutrients and how to feed your plants properly. Nutrient and feeding questions are probably the most popular questions I get overall. It is easy to understand why....not only is it critical to the success of your garden, but it is also the single most complicated subject to understand when it comes to indoor gardening. In this section, I will cover questions on primary nutrients, the use of additives (like B1), questions about pH and nutrient strength, how often to change your nutrient solution, flushing your plants, chemical fertilizers vs organic fertilizers, what to feed your seedlings, how to adjust the feeding plan as your plants mature, and any other questions you may have related to feeding your plants properly. Do You Have a Nutrient Question? Using nutrients properly can be tricky. The needs of every plant are different, and those needs change as they grow. Once your garden is started, however, unanswered questions can become horrible, nagging problems that prevent you from getting the results you want! Feeding your garden properly is one of the keys vital to your success. Drop me a line and tell me your story....my experience can help you avoid or fix your nutrient problems. Your story will appear on a Web page exactly the way you enter it here. Include important details that I may need, such as what type of fertilizer you are using, if you are using any additives, and how you have been managing your feeding plan (nutrient strength, pH, water changes, etc. ).